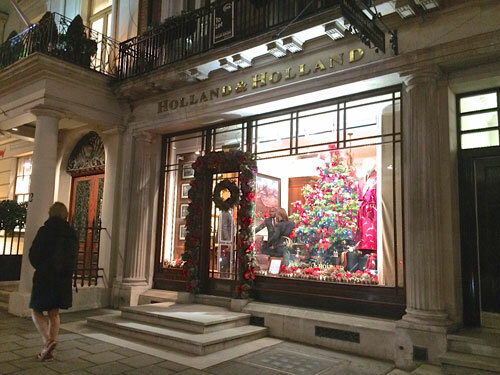 > At Holland & Holland, Mayfair honey tasting and talk. 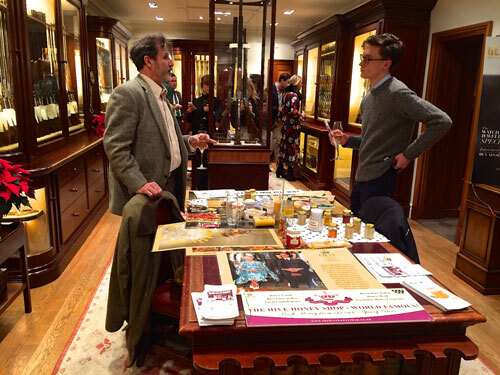 The Hive Honey Shop being Queen Elizabeth Scholars in Bees and Bee diseases, granted by the Royal Warrant holders were invited to bring along a selection of their finest English honeys and speak to specially invited guests at Holland & Holland’s Mayfair London Christmas drinks get together. 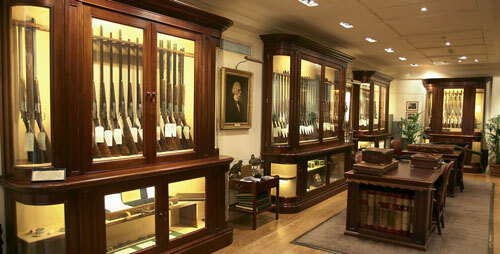 Holland & Holland gun makers since 1835, Royal Warrant holders to HRH The Duke of Edinburgh and HRH The Prince of Wales are set in the heart of Mayfair, Holland & Holland’s flagship store is home to the prestigious gun room and an outstanding collection of sporting shotguns and rifles. This hidden gem in the middle of Central London has been a shooter’s paradise for many decades. Visitors to the gun room can browse a full collection of hand crafted new and preowned shotguns and rifles, as well as a selection of the best shooting accessories. Even if you are not into sporting guns, you have to see the internal layout and architecture of this building. Stunning wooden gun cases and the original sales ledger books from 1885 onward, are neatly arranged around the room in purpose made desks and book cases. It’s like walking into a living museum.